British musical written by Nick Fogarty. 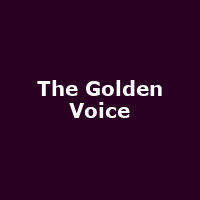 "Fame hungry singer Mike Chariot, betrays his best friend and abandons his childhood sweetheart to win the nation's favourite talent show 'The Golden Voice', but he quickly realises he is merely a puppet for the record company and TV execs. After a brief media frenzy the machine moves on and he is all but forgotten. Fast forward 20 years, a wiser Mike Chariot is back to make amends."